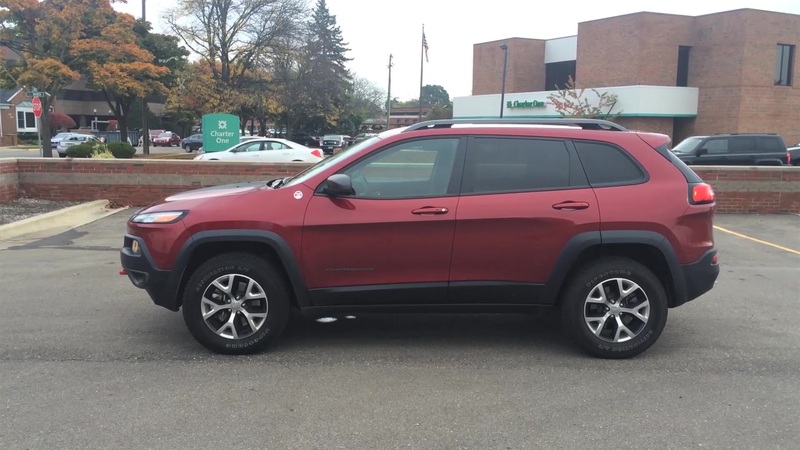 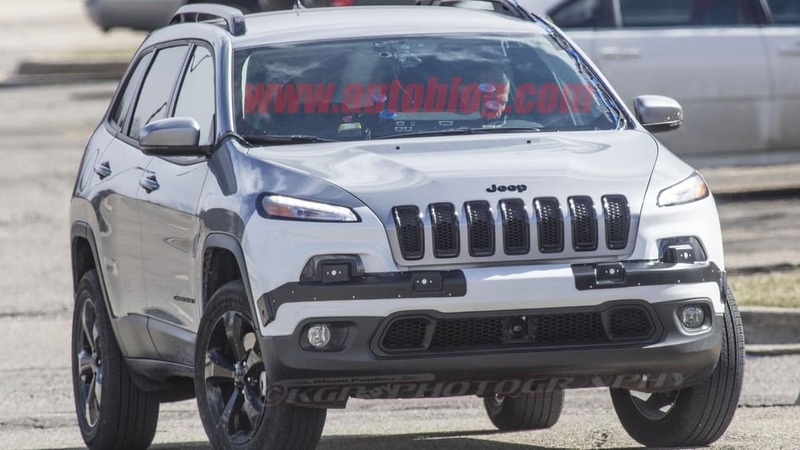 Now that the Jeep Cherokee is three model years old, it's about due for a refresh, and it looks like Jeep has a major one in store. 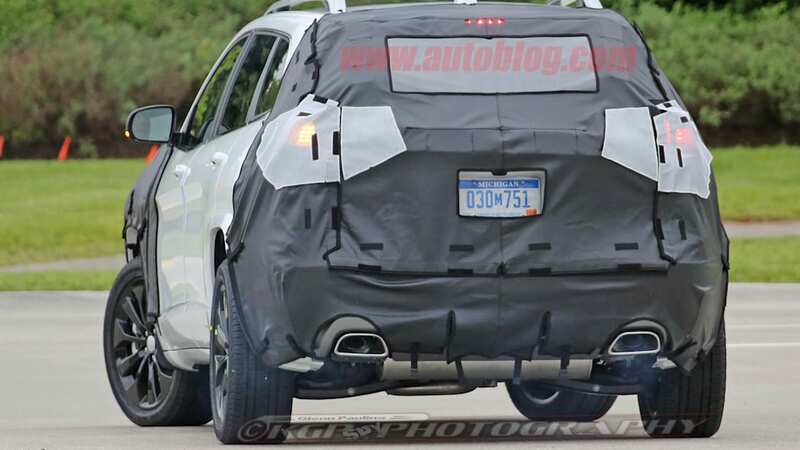 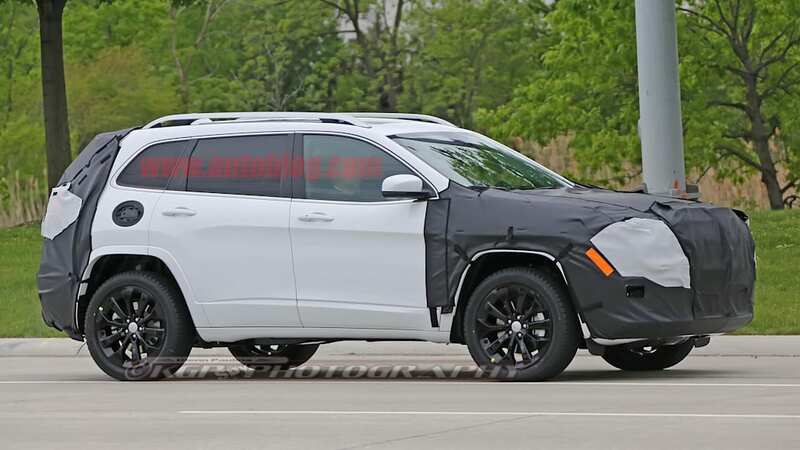 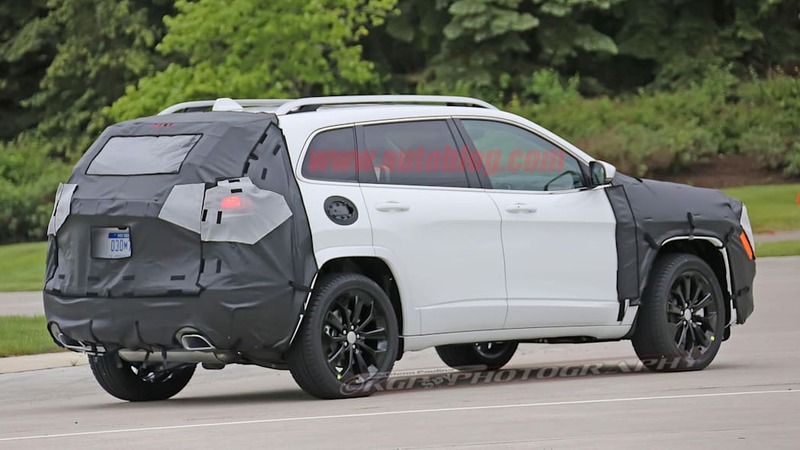 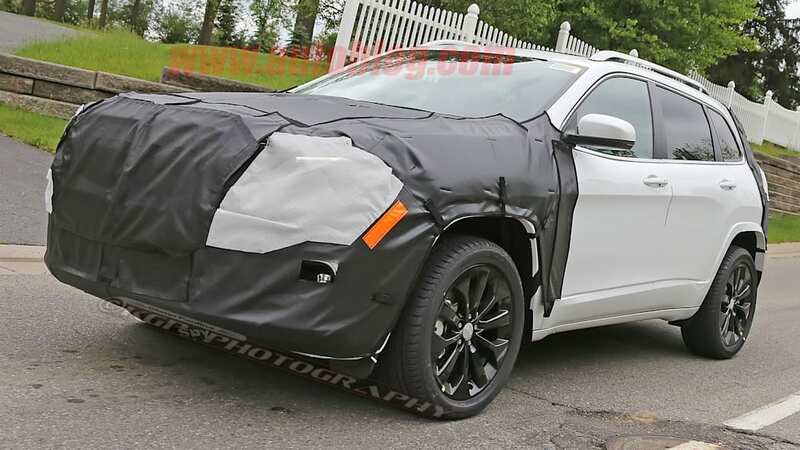 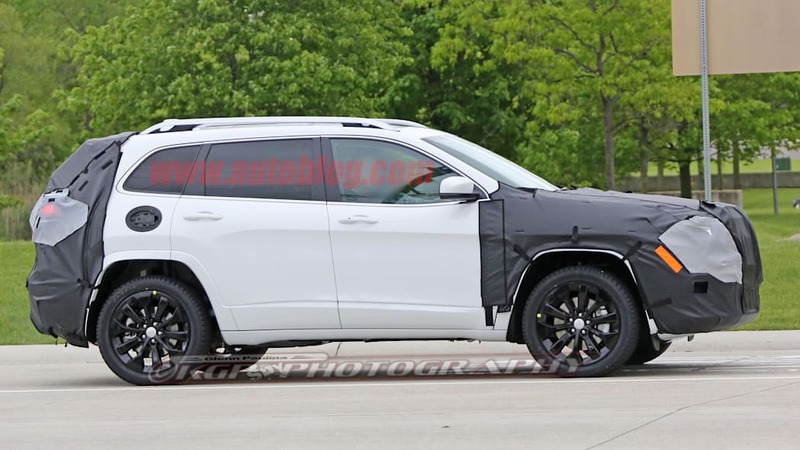 New spy shots show two prototype Cherokees testing. 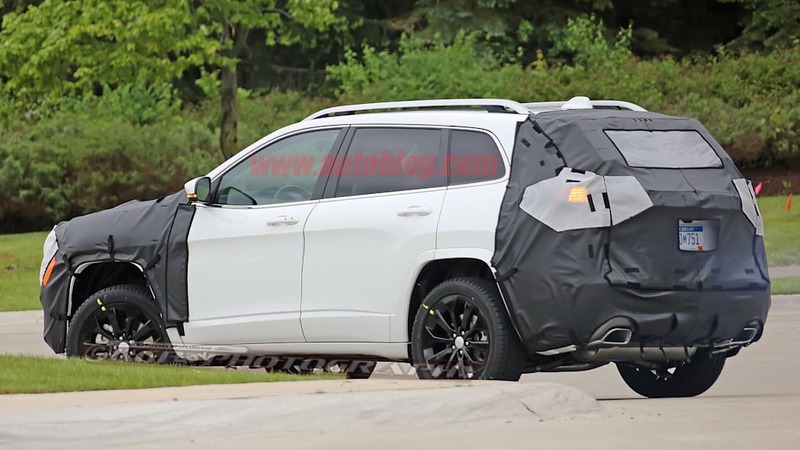 The heavily disguised prototype has the nose and tail completely covered, and an undisguised mule with the current body shows what appear to be new radar sensors. 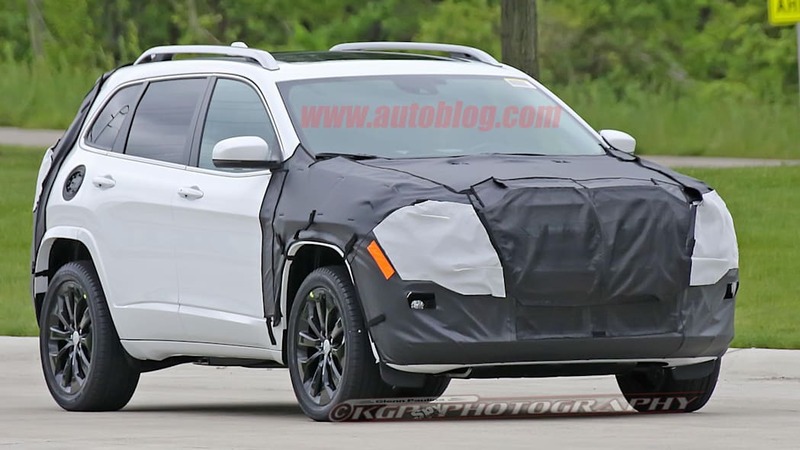 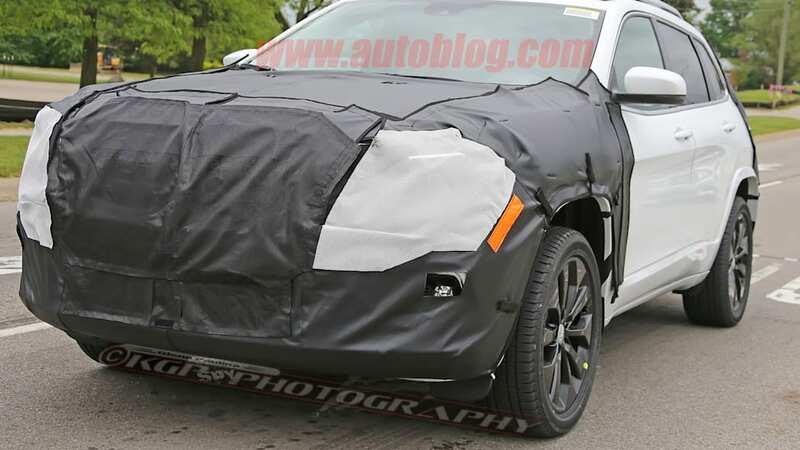 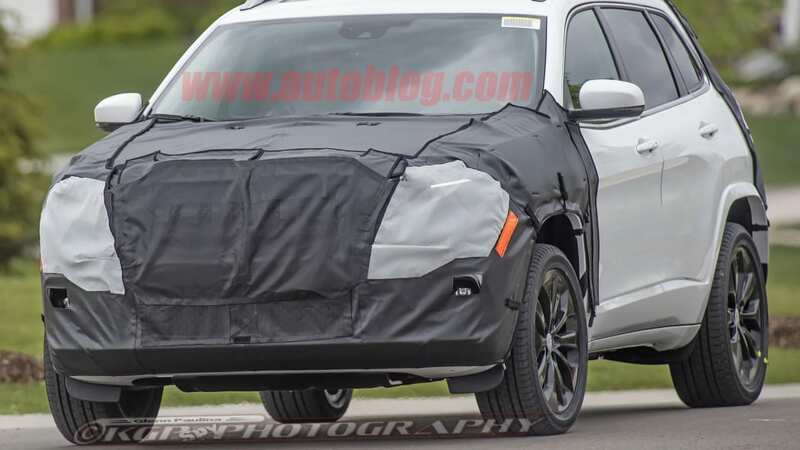 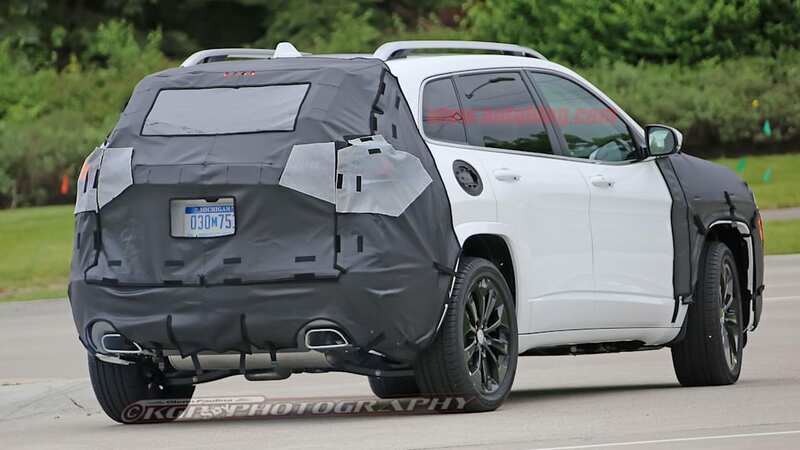 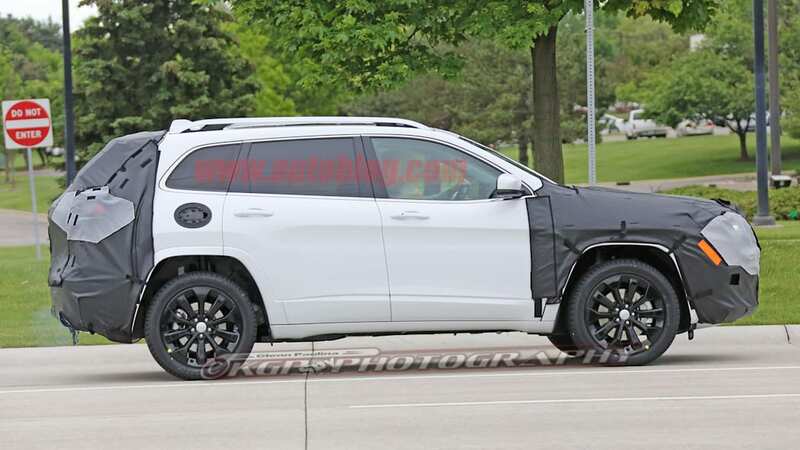 Based on these spy shots, it looks like the Cherokee's current split headlight design could be disappearing. 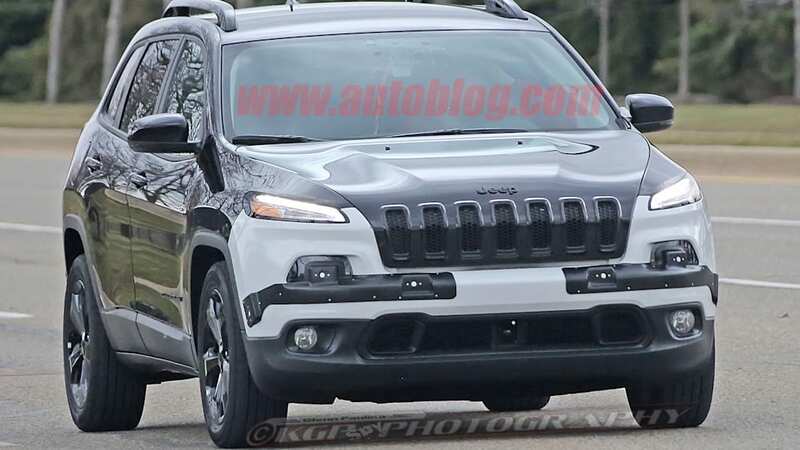 We know there must be a significant redesign to the front considering how much camouflage is used. 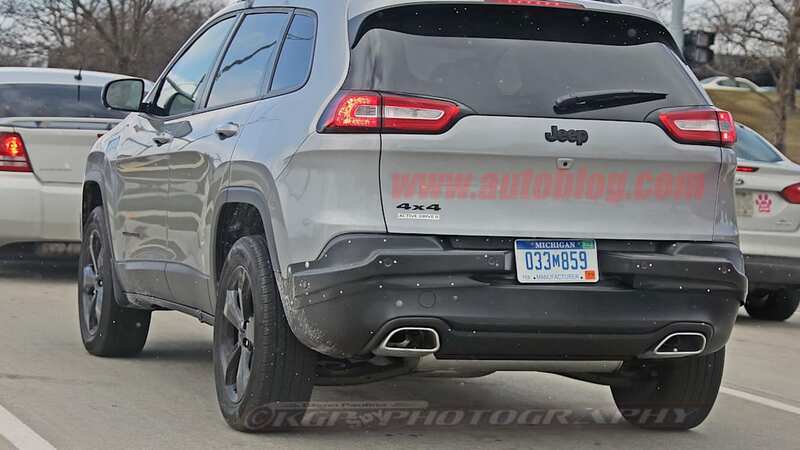 We can also just make out a revised accent light in a similar position as the current accent lights. 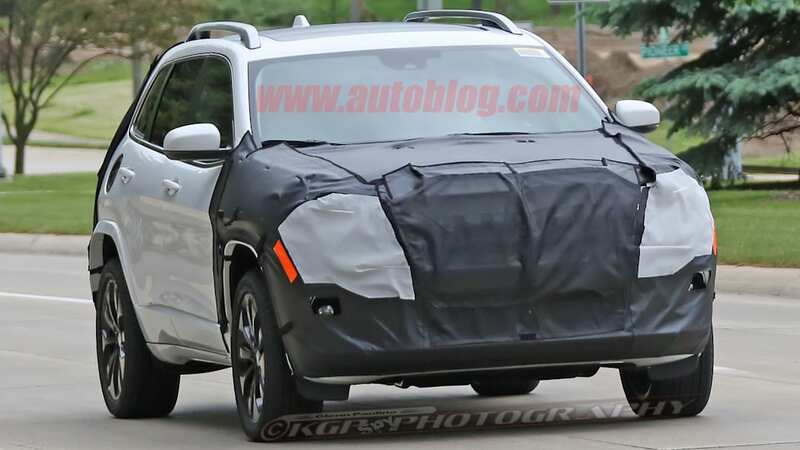 This wouldn't indicate unified headlights alone, but two of the exposed mule's apparent radar sensors sit right where the square-shaped main headlamps are located on the current model. 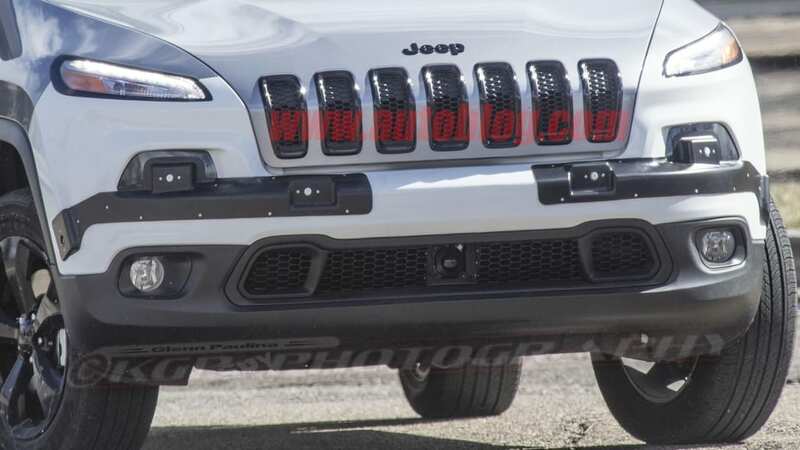 They'll have to at least move those lights higher in the bumper for the sensors, and if they're moved that far up, they might as well be merged with the accent lights. 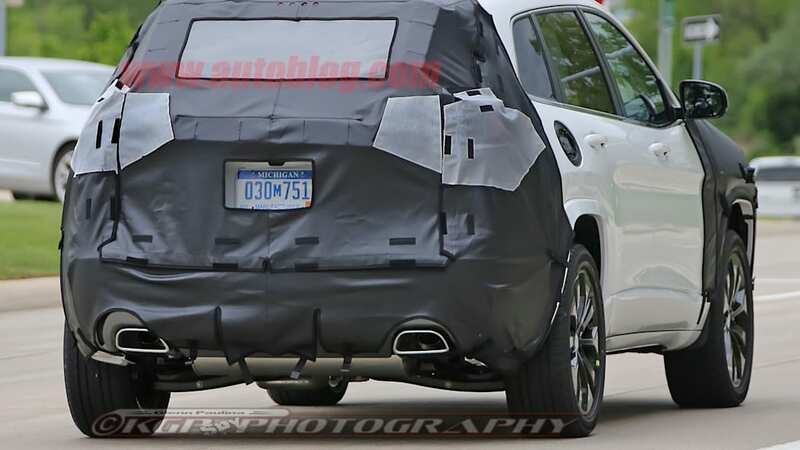 Among the other details we can make out, the rear section will likely be substantially different. 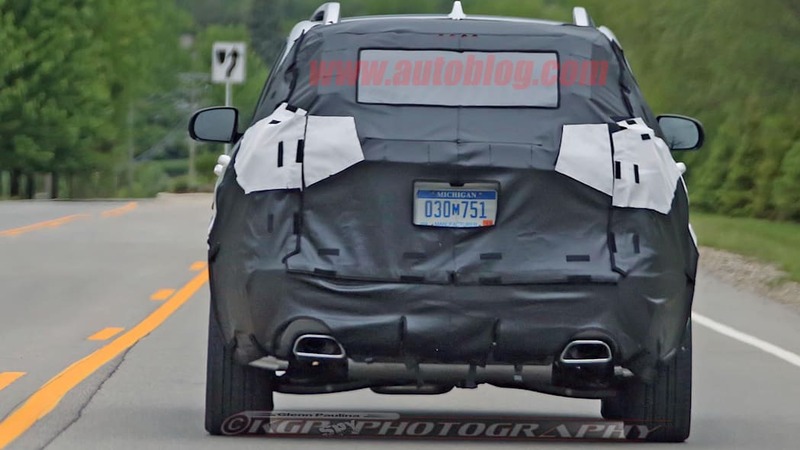 The license plate mounting point has been moved out of the rear bumper and into the rear hatch. 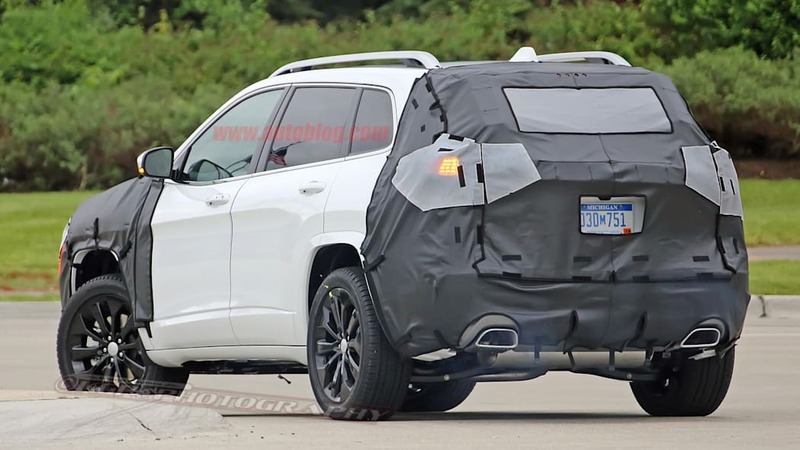 This may also be related to radar sensors, since the line of sensors on the undisguised model are right in line with the license plate. 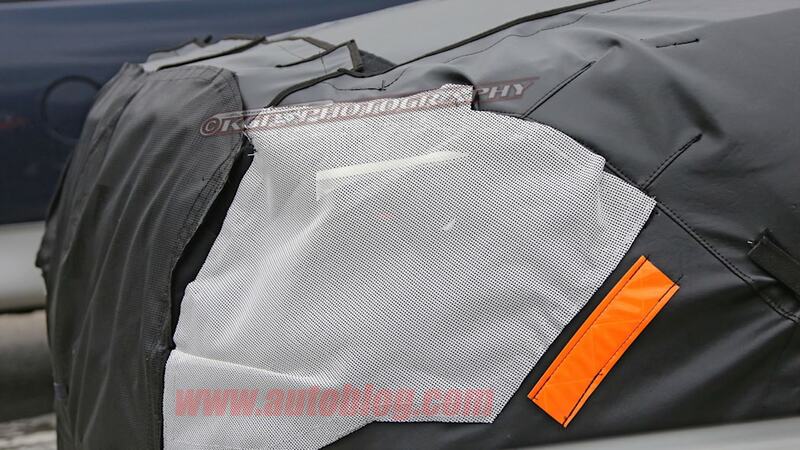 But it should also serve to break up the large swath of sheet metal in the hatch. 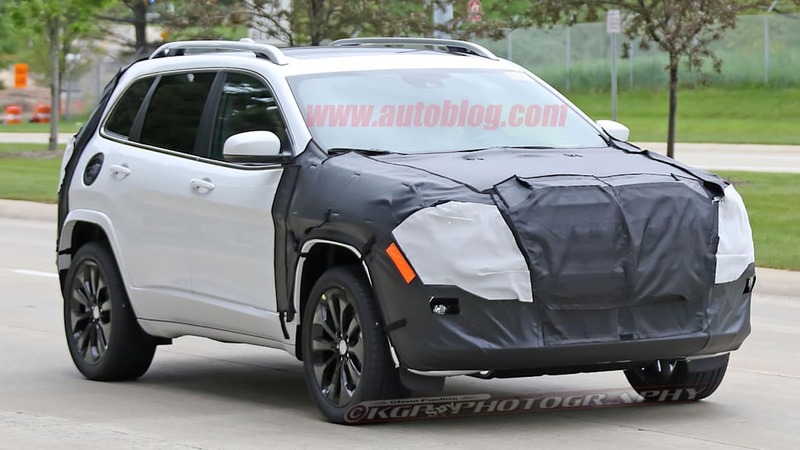 The middle section of the car still looks the same as the current model, which is further indication that this is a refresh.